A pair of new studies appear to bolster the case that periodontitis and heart disease are connected. Even though periodontitis is a fairly common problem, it’s largely preventable. Usually resulting from poor oral hygiene, it can cause damage to the gingiva and underlying bone that support teeth. While dentists in the past were largely concerned with preventing this common gum disease for the sake of a patient’s oral health, there’s now more reason to be concerned. Two new studies appear to strengthen the case that there’s a link between periodontitis and heart disease. The first study examined 508 Finnish patients with an average age of 62 years. All participating patients were experiencing cardiac symptoms at the time of the study. Upon examination of coronary arteries by angiography, 36% of the study patients were suffering from stable coronary artery disease – they had an established, regular pattern of chest pain, a history of heart attack, or coronary plaques that had been previously discovered. 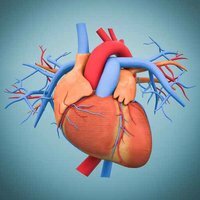 One-third (33%) of the patients had acute coronary syndrome, an umbrella diagnosis that describes many situations where blood flow to the heart is blocked. Finally, 31% of participants did not have any significant degree of coronary artery disease. In addition to the angiography, all patients participating in the study also had their teeth examined. It was found that as many as 58% of the patients had one or more inflammatory oral lesions. Also, researchers discovered that many patients had dental root tip infections, which are commonly detected by accident on X-ray and are correlated with a high level of serum antibodies related to the infectious bacteria. This finding suggested that oral infections can affect other parts of the body, such as the heart. In a second study, more than 60,000 patient records were reviewed to examine the link between chronic gum disease and heart disease. Each patient was at least 35 years old. The results of the study were clear: patients with periodontitis were twice as likely to also have heart disease or other coronary symptoms. 4.7% of patients with periodontitis were also reported to have atherosclerotic cardiovascular disease, compared to only 1.9% of patients without periodontitis. Other factors influencing heart disease were also taken into account. Even accounting for comorbidities like hypertension, high cholesterol, diabetes, and smoking, researchers found that patients with periodontal disease were still 59% more likely to have a history of heart-related issues. The researchers in the second study hypothesized that gum disease might develop first and could promote heart disease through bacterial infection in the cardiovascular system.